A HUD home is a 1-to-4 unit residential property acquired by HUD as a result of an action on an FHA-insured mortgage. HUD becomes the property owner and offers it for sale to the public. Almost anyone! If you have the cash or can qualify for a loan (subject to certain restrictions) you may buy a HUD Home. HUD Homes are initially offered to owner-occupant purchasers (people who are buying the home as their primary residence). Following the priority period for owner-occupants, unsold properties are available to all buyers, including investors. All properties available for purchase by the public in Georgia are offered for sale at the HUDHomestore.com. 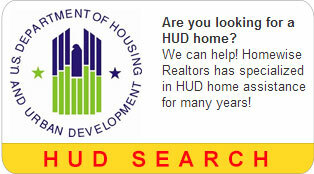 Any real estate broker registered with HUD, may submit an offer and contract to purchase on your behalf. HUD pays the real estate broker's commission, if included in the contract. HomeWise Realtors, Inc. is registered with HUD to submit bids for buyers in addition to being a listing broker for HUD homes through Sage Acquisitions, LLC. 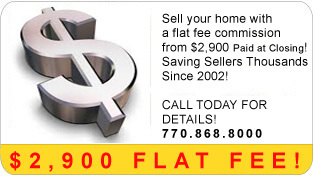 HUD Homes are offered for sale at fair market value, based on a current HUD appraisal. Generally, HUD Homes are sold in what is known as an "Offer Period," during which a potential buyer's offer must be made. At the end of the Offer Period, all offers are opened and the bid providing the highest acceptable net return to HUD may then be accepted. Following the initial Offer Period offers may be submitted any business day. What if my HUD homes needs repairs? If you are interested in acquiring a HUD Home that is in need of repair, you may be interested in applying for an FHA 203(k) Rehabilitation Loan. When a home buyer wants to purchase a house in need of repair or modernization, the home buyer usually has to obtain financing first to purchase the dwelling; additional financing to do the rehabilitation construction; and a permanent mortgage when the work is completed to pay off the interim loans with a permanent mortgage. Often the interim financing (the acquisition and construction loans) involves relatively high interest rates and short amortization periods. The Section 203(k) program was designed to address this situation. The borrower can get just one mortgage loan, at a long-term fixed (or adjustable) rate, to finance both the acquisition and the rehabilitation of the property. Click here for more information about FHA's 203(k) Rehabilitation Loan Program. Please remember that under no circumstances are any repairs permitted prior to closing. HUD does not provide direct financing to buyers of HUD Homes. Buyers must obtain financing through either their own cash reserves or a mortgage lender. If you have the necessary available cash or can qualify for a loan (subject to certain restrictions) you may buy a HUD Home. While HUD does not provide direct financing for the purchase of a HUD Home, it may be possible for you to qualify for an FHA-insured mortgage to finance the purchase. Please click here for home mortgage information. 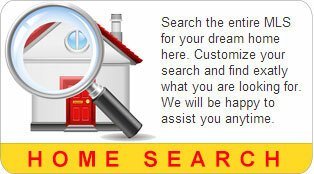 Please click here to search all available HUD listings. Any single family property acquired by HUD will display an Agent Info tab identifying who is managing the property before it is listed for sale. During this time the property is appraised, title issues are resolved, if necessary, and a determination is made about the property's eligibility for HUD's discount sales programs. FHA REO properties located in designated Revitalization Areas are available at a reduced sales price to law enforcement officers, teachers, firefighters, emergency medical technicians, non-profits and local governments. Read more about these Good Neighbor Initiatives. 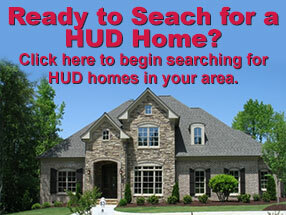 Where can I find out more information about HUD Homes? 1. Earnest Money in Certified Funds (Cashier's Check, Money Order, etc, no personal checks), $500 if the list price is less than $50,000 or $1000 if the list price is $50,001 or more made payable to your closing attorney. 2.Pre-Qualification/Loan Commitment Letter from your Lender if using a mortgage or Proof Of Funds if paying cash. If you still need to get pre-qualified speak to your lender or speak to one of our preferred lenders and get your pre-qualification letter in hand. You don't want to wait to the last minute and possibly lose the house of your dreams. We are here to help! Call HomeWise Realtors, Inc. on our HUD home hotline at 770.725.2525 and qualified member of our HUD team will be happy to help. © Copyright 2019 Homewise Realtors, Inc. All Rights Reserved.